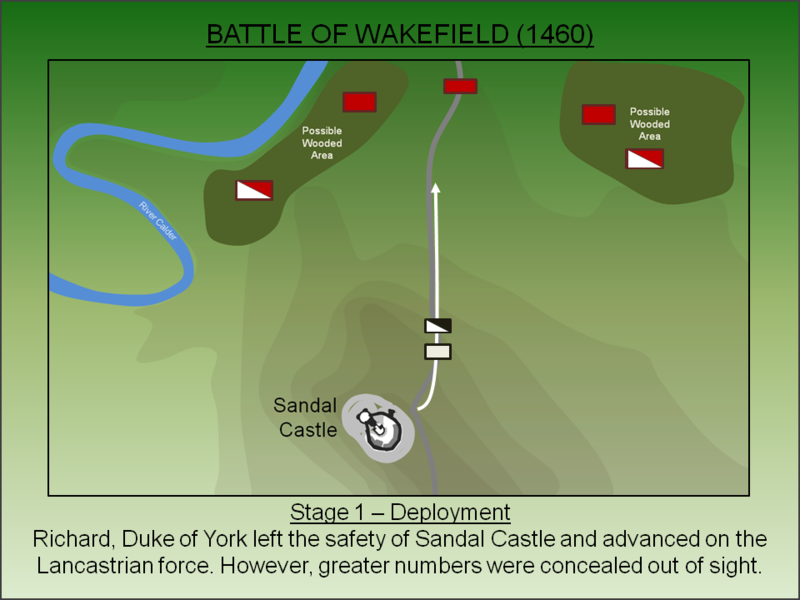 The Battle of Wakefield (1460) was a calculated attempt by the Lancastrians to eliminate Richard, Duke of York. Little is known about the action but the Duke was successfully enticed out from the safety of Sandal Castle and ambushed. In the subsequent skirmish his forces were massacred and both the Duke and his second eldest son were killed. In 1399 Henry Bolingbroke overthrew the unpopular Richard II and seized the throne. His actions were widely supported by the nobility at the time although Henry's reign would ultimately be marred by the Percy rebellion (defeated at the Battle of Shrewsbury), the Owain Glyndŵr uprising and a fractious relationship with Scotland. Nevertheless Henry prevailed and his son, Henry V, forged unity amongst his magnates by re-igniting the Hundred Years War and mounting successful continental campaigns (which included the victory at the Battle of Agincourt). The scale of his achievements meant that when he died in 1422, leaving the nine month old Henry VI as his heir, there were no challenges to the new King. However, Henry VI was a very different character from his father. His periodic mental illness, coupled with the dramatic defeats of the English in the Hundred Years War, provided the backdrop for the ambitious Richard, Duke of York to make a bid for the throne. Richard claimed descent (through the female line) from Lionel of Antwerp, Edward III's second son, whereas Henry VI was descended from the line of John of Gaunt, Duke of Lancaster who had been the third eldest. Richard had acted as Lord Protector during King Henry's mental illness and had thrived on the power. However, when Henry recovered his senses in March 1454, the Protectorate came to an end and the many Yorkists who had been given prominent positions were dismissed. Richard immediately mobilised military forces and pressed his claim for the throne, first in a number of skirmishes and then at first Battle of St Albans (1455). Although a truce soon followed, the battle was a watershed moment. The bitterness with which it had been fought - resulting in the deaths of several prominent Lancastrian supporters including Edmund Beaufort, Duke of Somerset and Henry Percy, Earl of Northumberland - set the tone of the subsequent dynastic struggle. Crucially it left many in the Lancastrian faction wanting revenge. In 1459 the fragile peace between the Lancaster (Henry VI) and York (Richard, Duke of York) factions broke. The Yorkist commander Richard Neville, Earl of Warwick defeated the Lancastrians at the Battle of Northampton (1460) and captured Henry VI. The Yorkists attempted to persuade Parliament to set aside Henry and declare Richard of York as King but they failed to secure enough backing for an immediate coronation. However, Parliament did pass an Act of Accord; an agreement re-instigating Richard as Lord Protector and heir to the King whilst disinheriting Prince Edward, Henry VI's natural son. Unsurprisingly Henry's Queen - Margaret of Anjou - opposed this move and raised an army at Pontefract Castle to reverse the coup. Richard moved north to deal with the new Lancastrian threat. As Duke of York, Richard had extensive estates in Yorkshire. 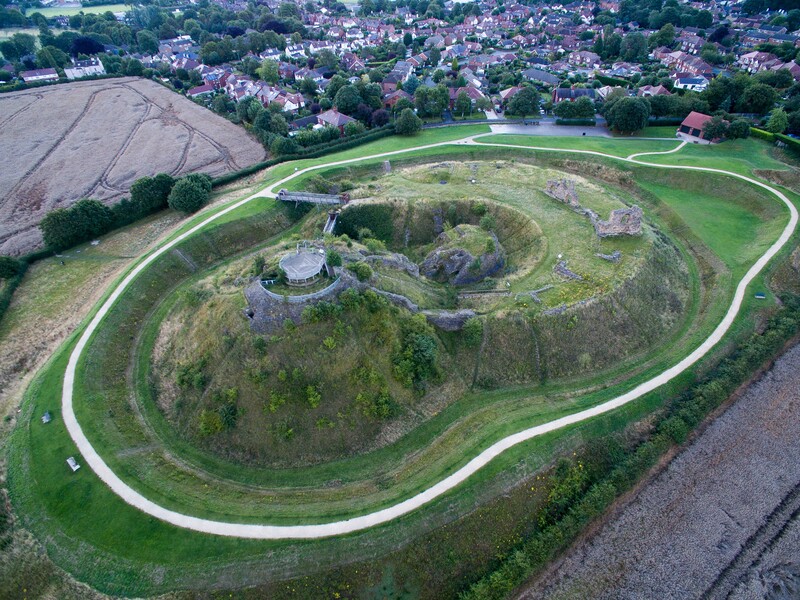 One of his primary centres was Sandal Castle near Wakefield which was just nine miles from the Lancastrian base at Pontefract. 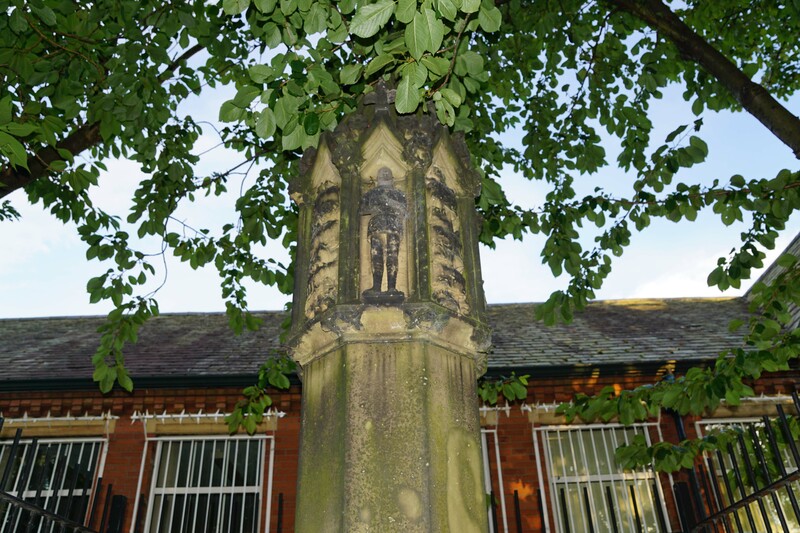 Edward arrived at Sandal on 21 December 1460 and made an initial sortie towards Pontefract. However, he found the Lancastrian forces were too strong and he returned to Sandal to await the arrival of his eldest son, Edward (later Edward IV), with reinforcements. The Lancastrian forces were under the command of Henry Holland, Duke of Exeter. The precise size and configuration of the army is unknown but the key leaders included a number of experienced military commanders. Crucially a number of leading magnates were determined to get revenge. The Duke of Somerset had been imprisoned by Richard during his stint as Lord Protector as had the Duke of Exeter after the first Battle of St Albans (1455). Furthermore both Somerset and Lord John Clifford had seen their fathers killed at St Albans. The Lancastrian force also included Sir Andrew Trollope, formerly a Yorkist who had changed sides. The Yorkist forces were under the command of Richard, Duke of York. The size of his army is also unknown but it was significantly smaller than those available to the Lancastrians especially as a portion may have been dispersed foraging for supplies. The Yorkist force included the Earl of Salisbury, an experienced military commander who had served as Warden of the West March and fought at the Battle of Blore Heath (1459). The battle was fought in the afternoon of 30 December 1460. Safe within the impenetrable defences of Sandal Castle, Richard knew that a Lancastrian force was in the immediate vicinity and he was almost certainly aware that it outnumbered his own. Nevertheless, he marched his men out from the safety of the castle and advanced down Manygates Lane to intercept them. What prompted this seemingly rash action is not known. One argument is that Sandal Castle was short of supplies and Richard may have felt he would have better fortunes in an open conflict than during a protracted siege. However, with his son Edward inbound with reinforcements this seems unlikely. Accordingly Richard was probably tempted out by subterfuge. A contemporary chronicler, Jean de Wavrin, wrote that this was initiated by Sir Andrew Trollope who sent a series of men to Sandal feigning as deserters and suggesting he was about to change sides. An alternative suggestion is that the Lancastrians tempted him out by marching a small portion of their army near the castle which perhaps led Richard to believe he could engage and defeat a portion of the opposing force. It is also possible Richard misinterpreted the approach of John Neville of Raby, a Lancastrian, as the arrival of Yorkist forces under the Earl of Warwick. Regardless of what had prompted Richard to deploy, his forces engaged the Lancastrians at the bottom of the hill below Sandal Castle. Little is known about the battle but the terrain effectively concealed the bulk of the opposing forces. Emerging from this cover, the Lancastrians set upon Richard's men from all sides cutting them off from Sandal Castle and slaughtering them. 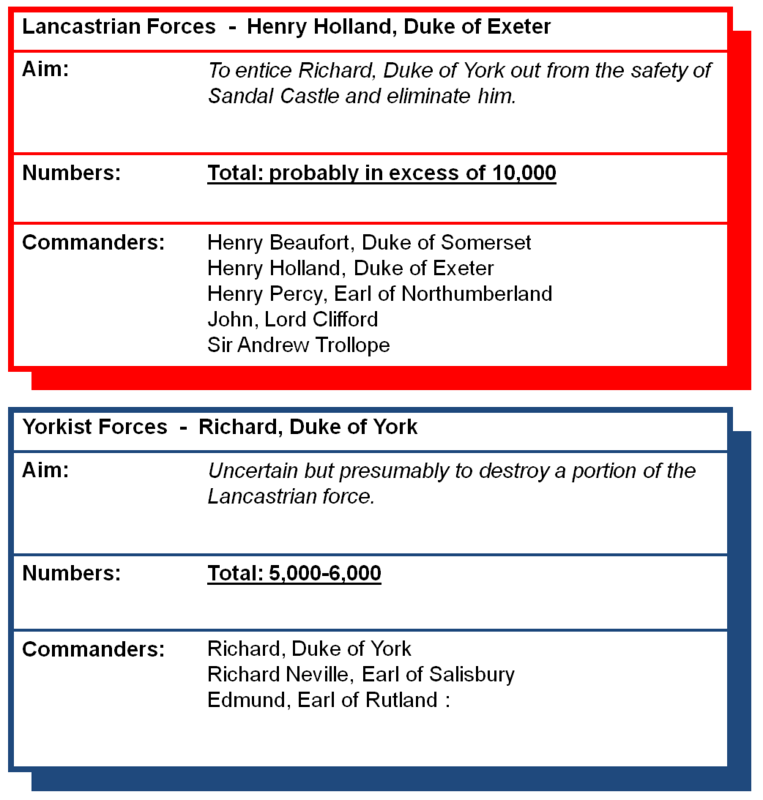 Perhaps as many as 2,000 Yorkist troops were massacred compared to only 200 Lancastrians. Richard was one of those killed as was his second eldest son, Edmund, Earl of Rutland. The Earl of Salisbury escaped the battlefield but was later captured and taken to Pontefract Castle. However, the following day he was dragged out by the Duke of Exeter's half brother and beheaded. 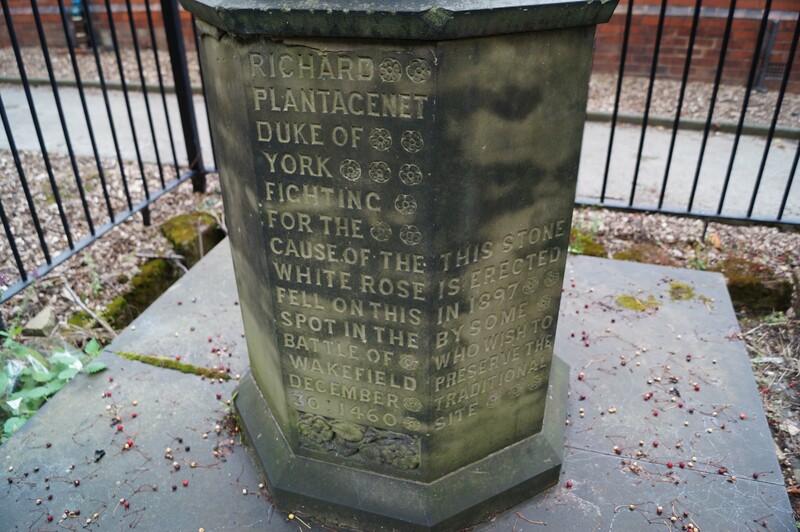 The battle of Wakefield did nothing to advance the Lancastrian cause despite the death of Richard, Duke of York. Instead, the savagery was exaggerated by the Yorkists for their own propaganda purposes. One such embellishment was that the Duke of York was captured alive and made to stand on a molehill where he was crowned with bulrushes before being beheaded. Another story suggests that the teenage Earl of Rutland begged Lord Clifford for his life before being stabbed by the magnate. These stories fuelled anti-Lancastrian sentiment in London and generated significant sympathy for the Yorkist cause. Following Richard's death, his eldest son Edward assumed both the mantle as Duke of York and the attempt to seize the throne. He was a most able military commander and achieved immediate victories at Mortimer's Cross (2 February 1461) and Towton (29 March 1461). These successes, alongside the support of the city of London, secured Edward the throne. Notwithstanding a brief restoration of Henry VI in 1469/70, Edward IV remained King for life. However, his dynasty did not survive him as after his death in 1483 his brother - Richard, Duke of Gloucester - declared his sons illegitimate and took the throne himself. Richard was then defeated and killed at the Battle of Bosworth Field (1485) after which the throne was taken by Henry Tudor. Brie, F.W.D (1906). The Brut. Kessinger Publishing. Dockray, K (2016). Henry VI, Margaret of Anjou and the Wars of the Roses: From Contemporary Chronicles, Letters and Records. Dockray, K (2015). Edward IV: From Contemporary Chronicles, Letters and Records. Haigh, P.A (1996). 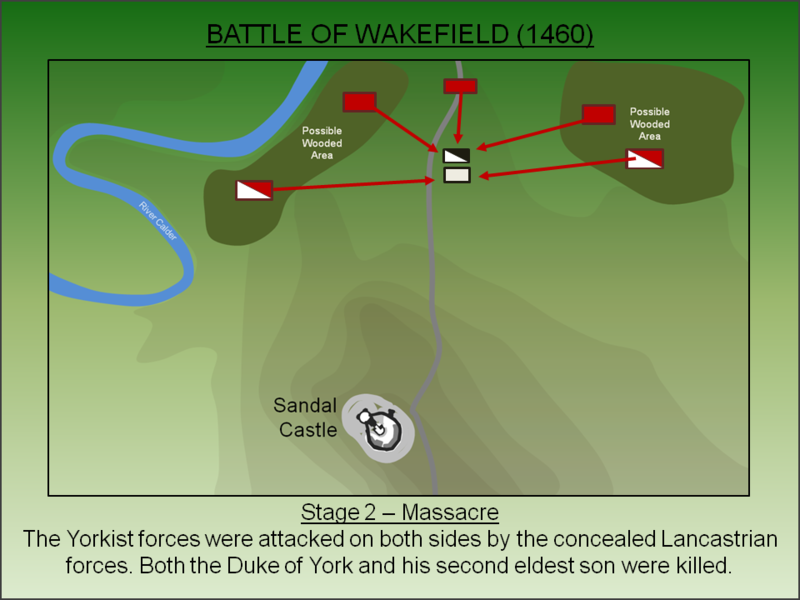 The Battle of Wakefield, 30 December 1460. Sutton, Stroud. Haigh, P.A. (1995). Military campaigns of the Wars of the Roses. Sutton, Stroud. Lancaster, J.H.D (2016). Wakefield: Battlefield visit notes and observations. CastlesFortsBattles.co.uk. Ordnance Survey (2015). Wakefield. 1:1250. Southampton. Weir, A (2015). Lancaster and York: the Wars of the Roses. Vintage, London. Worcester, W (1969). William of Worcester's Itineraries. Clarendon Press, Oxford. The Wakefield battlefield has changed significantly since the fifteenth century. A large portion of the site is now buried under modern housing although it is likely Manygates Lane follows the path of the original medieval road. 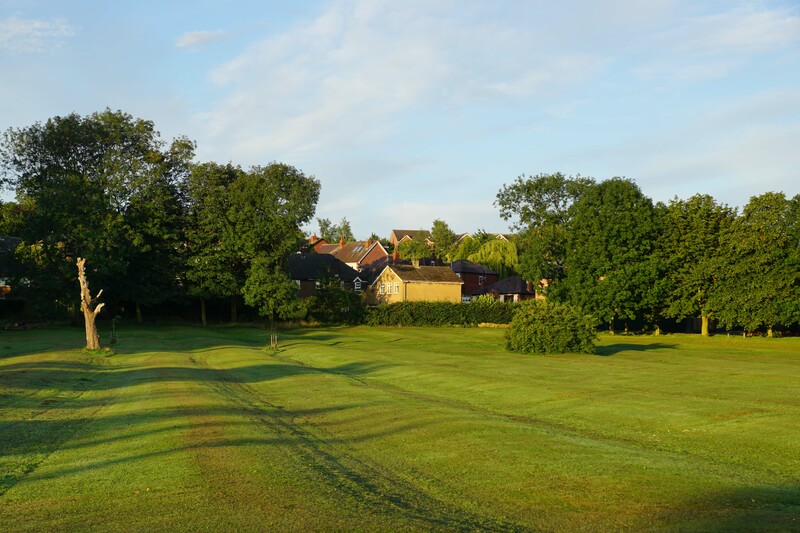 The fiercest fighting may have taken place in Castle Grove Park and, although undeveloped, this has been extensively landscaped. 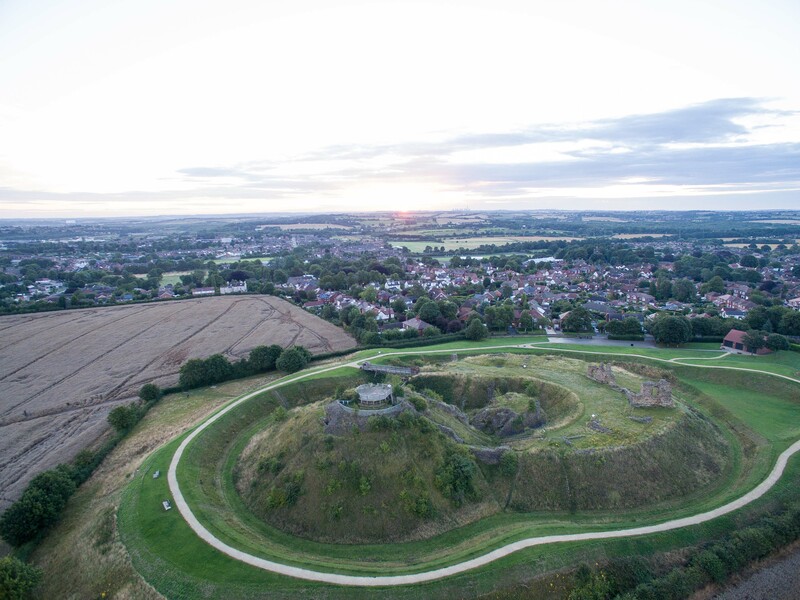 Nevertheless, an outing to the battlefield is rewarding as the general topography can still be appreciated and can be paired with a visit to Sandal Castle which survives as a magnificent ruin. 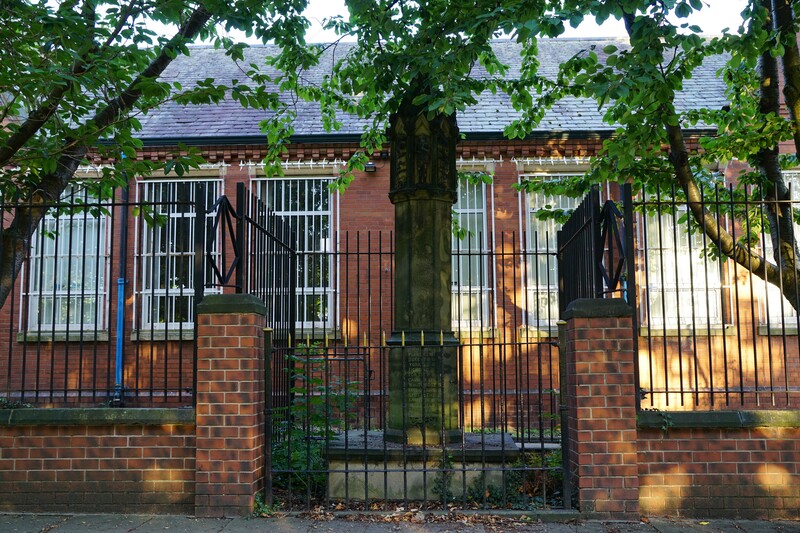 Monument. 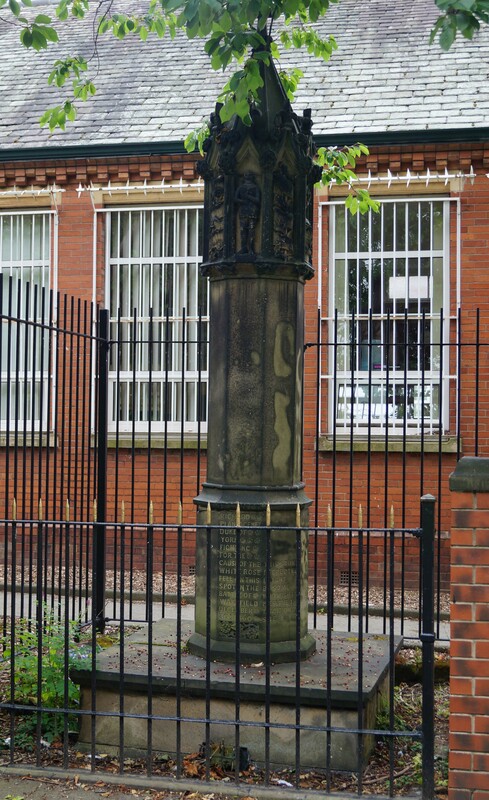 The monument is found on Manygates Lane. Don’t look for it in the Park, its on the other side of the road in front of the school! Sandal Castle. At the time of the battle Sandal Castle was both a lavish residence and strong fortress. Richard, Duke of York could have safely waited behind its walls for reinforcements but instead sallied out to fight the Lancastrians. Why he chose this course of action is unclear. The site of the battle was at the foot of Manygates Lane which can be seen extending away from the castle adjacent to the field on both photographs. Battlefield. The view towards the battlefield from Sandal Castle. 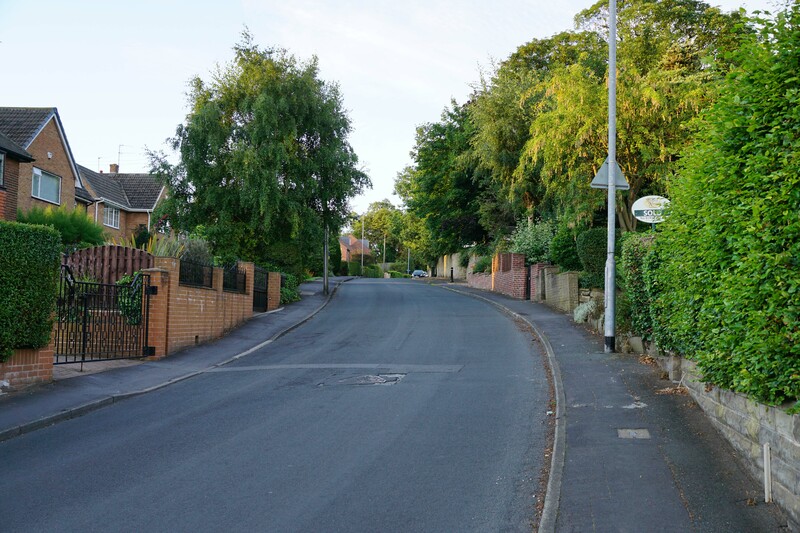 Manygates Lane is on the right. 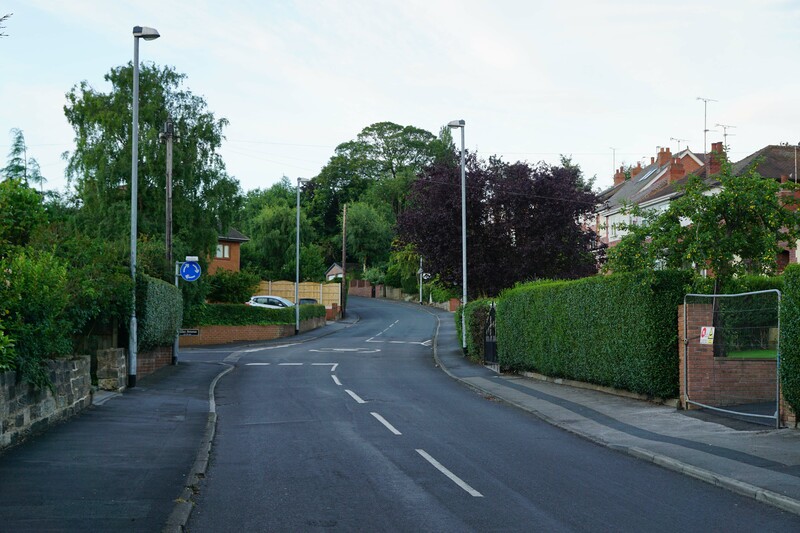 Manygates Lane. Richard, Duke of York advanced down the lane. 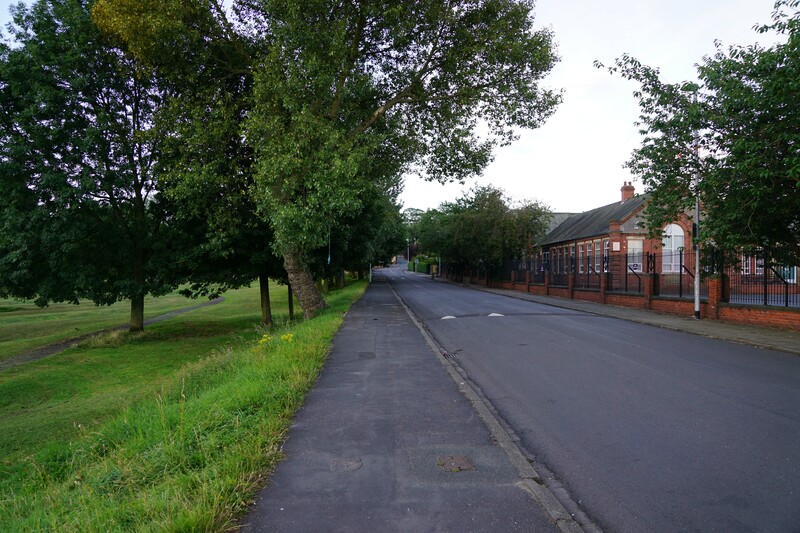 The ambush took place near the modern school (right hand photograph). Castle Grove Park. The scene of much of the fighting. Micklegate Bar. 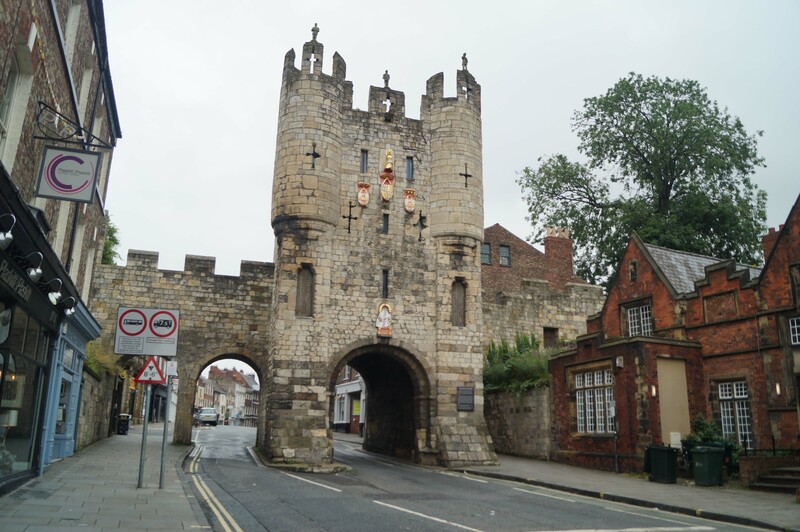 After the battle, the severed head of Richard, Duke of York was displayed in York on Micklegate Bar. It was decorated with a paper crown in derision.